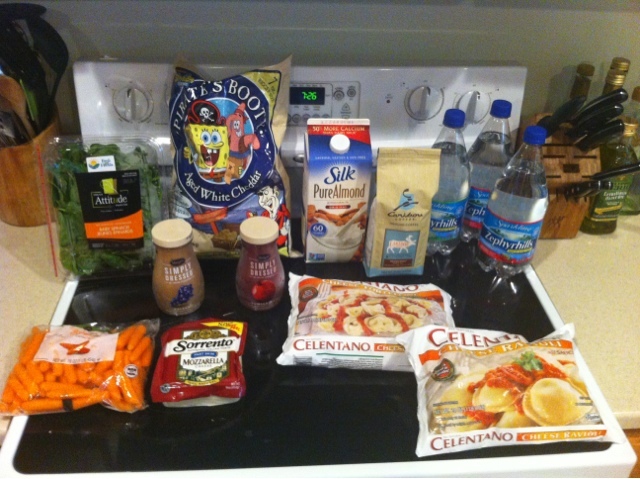 It was a quick and easy Publix trip for me today. After cleaning/organizing our freezers and getting our Zaycon order in the last few weeks, we really need nothing in the grocery department so I grabbed a few things and the usual milk and salad. I meant to grab some eggs so I am sure I will be back to the store before too long. I barely made it to $30 before coupons so I could use my $5/$30 Winn Dixie coupon and including that one I only used six coupons total today. Make sure you check out my newest Stalk My Stockpile post on the contents of our freezers and check back next week for a $25 Publix gift card giveaway, a pizza recipe round up and the review of our Zaycon order.